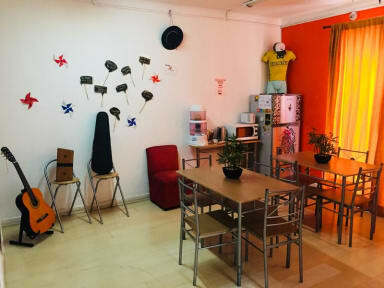 Urbano Hostel is a nice and comfy hostel that will make your stay perfect in Santiago and Chile. We have a vast experience in the hospitality sector and a great knowledge about the city, elements that we capitalize to bring to our guests and travellers the very best of our facilities and services. We invite you to know the experience of Urbano Hostel, where you will arrive as a client and you will retire as a friend. 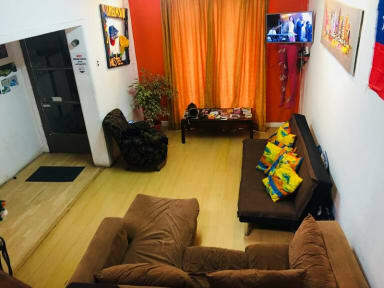 Urbano Hostel is located in the bellavista neighborhood, zone of nocturnal and cultural activities, some steps away from San Cristobal Hill, museums, historical center of santiago, central market, bars and restaurants and many other attractions and landmarks of our city. We have several types of accommodation options, both shared options and private options, all of them equipped with all the necessary services such as USB connection and padlock closure, amongst others. In addition, we have several common areas where the guests and the travellers can exchange past experiences and future plans.